يشكل فندق The Lord Byron بموقعه الممتاز في قلب هذه المنطقة الرائعة كنقطة انطلاق ممتازة لاستكشاف المدينة. يمكن من هنا للضيوف الاستمتاع بسهولة الوصول إلى كل ما تقدمه هذه المدينة النابضة بالحياة. يوفر العقار بفضل موقعة الجيد وصولاً سهلاً إلى أهم معالم المدينة.
. إن الخدمات التي يقدمها The Lord Byron تضمن للنزلاء إقامة مريحة. تتضمن الميزات الرئيسية في هذا الفندق: واي فاي مجاني في جميع الغرف, خدمة غسيل ذاتية, تسجيل وصول/خروج سريع, تخزين الأمتعة, واي فاي في المناطق العامة. بالإضافة لهذا، تتضمن كل غرف الضيوف مجموعة واسعة من وسائل الراحة . بعض الغرف توفر حتى تلفزيون بشاشة مسطحة, غرف لغير المدخنين, مكيف هواء, تدفئة, مكتب لإرضاء أكثر الضيوف تطلبًا. إن حمام سباحة خارجي, ملعب تنس, حديقة, رياضات مائية (غير آلية) هو المكان الأمثل في الفندق للاسترخاء وتفريغ طاقتك بعد نهار طويل. 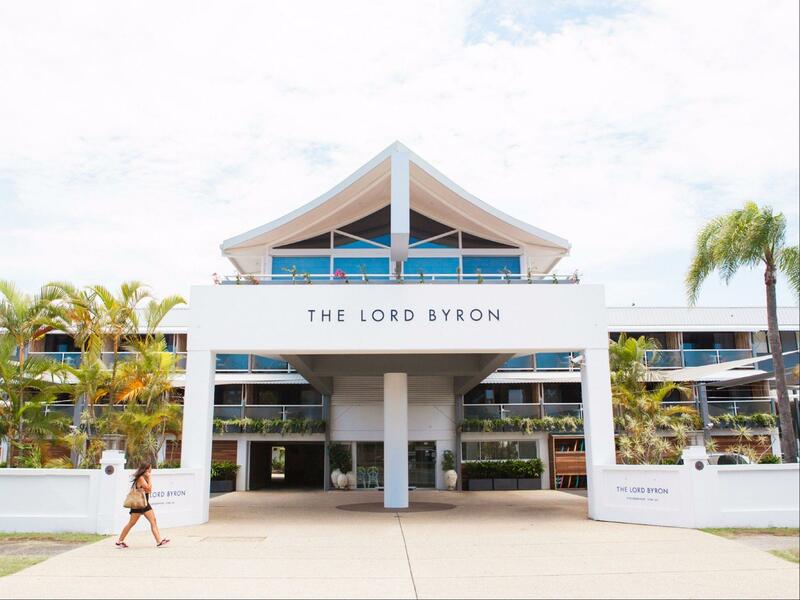 اكتشف مزيجاً ساحراً من الخدمة الاحترافية والخيارات الواسعة من وسائل الراحة والمتعة في The Lord Byron. ستُفرض رسوم بقيمة 20 AUD على الأطفال الذين تقل أعمارهم عن عامين ويستخدمون سرير الأطفال، وذلك لليلة الواحدة. سيُفرض على الطفل الأكبر سنًا الذي يتراوح عمره بين 2 و10 أعوامٍ35 USD للسرير الإضافي/اللية. يعتبر النزلاء الذين تزيد أعمارهم عن 10 أعوامٍ من البالغين. ستُفرض رسوم إضافية مباشرةً في العقار. العدد الأقصى للأسرّة الإضافية المسموح بها في الغرفة هو 1. 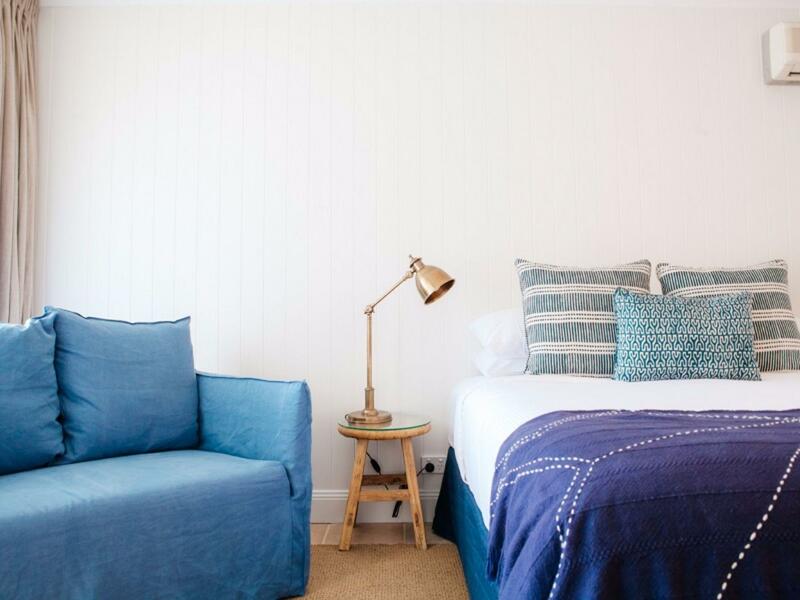 In what seems to be an ageing motel style hotel, it has been very cleverly updated in all the right areas to feel like a tastefully styled hotel. Super friendly staff and convenient location - absolutely everything you could want for the price in Byron. Amazingly helpful and friendly staff. Perfect location, a short stroll to the beach, shops and restaurants. Perfectly clean, very comfortable bed. Bikes and surfboards available to use at no extra cost. Excellent BBQ area with an area to relax. Would definitely stay here again, didn’t want to leave! Lovely little hotel (quite boutiquey) on the edge of Byron Bay, a 5 minute walk to the hustle and bustle. The staff were really helpful with recommendations and fixing a problem with our AC. Rooms are well sized, clean and well maintained, with big comfy beds. My only criticism would be that the wifi is really patchy! I thoroughly enjoyed staying at the Lord Byron, I would stay here again next time I'm in beautiful Byron. The room was clean and comfortable, the staff are very warm and friendly and the location is good, quiet and relaxed and just a 10 min walk to the beach. I highly recommend staying at this hotel when visiting Byron. The Lord Byron resort is an older style hotel but the rooms are exceptionally well maintained. Lovely little balcony overlooking the pool. Room and bathroom were spotless, air conditioned, and well appointed. Bathroom was surprisingly spacious. We were located on the second floor but there are no lifts. Fortunately, we were travelling light although the staff did offer to assist with our bags. Free parking at the front door. Would definitely stay here again. Definitely not a resort compared to those in QLD or Asia but it is a very nice, basic place to stay in Byron. The staff are friendly and helpful and the location was very good. It is a about a 10 minute walk to the beach but removed enough from the party scene so you don't get a lot of noise. I would stay there again. I thoroughly enjoyed my stay at the Lord Byron Resort. It doesn't have a restaurant but there are heaps of reasonably priced restaurants and shops within walking distance. Friendly staff, lots of free car parking and I will be back! Friendly staff each day...cleaners were very happy singing away as they worked...nice to hear. Plenty of facilities to cater for everyone.clean comfortable etc... we did ask for a smoking room and got a non smoking room which was a pain as hubby had to go downstairs every time. Brilliant. I wish I was there longer than one night. The staff were amazing, the room was beautiful and so close to everything I needed. Would definitely recommend, well worth a visit! We really enjoyed our stay at The Lord - lovely staff, great location, perfect pool and garden areas. Rooms are average size but great for a few nights stay. Walking distance to the beach, restaurants and everything you need. We will be back! 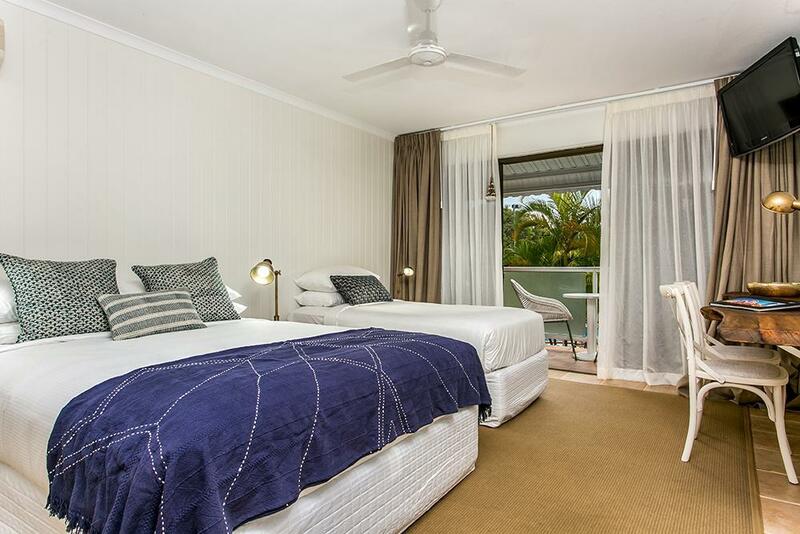 We have stayed here a couple of times now and find it very convenient for just about every thing in Byron Bay. The staff are friendly and helpful and the room is great apart from the fact they used to have a microwave but these have been removed. This is a hidden gem! Located away from the noisy end of town. Lovely pool with nice quiet surrounds. The staff were impeccable, obviously hand picked as they were delightful. Very comfortable bed and clean modern room. Get one overlooking pool area. Excellent value for money in low season. Once our flight arrived at the Gold Coast, we were horrified to receive a voicemail message asking what time we planned to check in as the reception would not be open when we arrived in Byron. There was no message to say there would be a night manager who would greet us and provide our room key. We spent the drive down wondering whether we would have somewhere to stay Friday night. In future, I'd suggest the message should at least say there is going to be a night manager to save others the angst we experienced. On another note, we were woken at 7am Monday morning by builders commencing demolition/renovations in the next room. Not happy! Especially as we were not provided with any notification this was going to occur. Not a nice way to wake up ! Accom was very comfortable, pool and spa amazingly warm, staff were very welcoming, friendly and helpful about local eateries and things to do. I wish it had been closer to the beach but it's only about a 10 minute stroll.